This is part of a series of posts by students in OCAD’s Cities for People summer workshop (click the link to read a bit about what the class is about). This post was researched and written by Gillian Herold, Daniel Kim, John Koutoulakis and Max Pravosoudov. The psychogeographic map of Alexandra Park is by Max Pravosoudov (Click here to view a larger image of the map.). 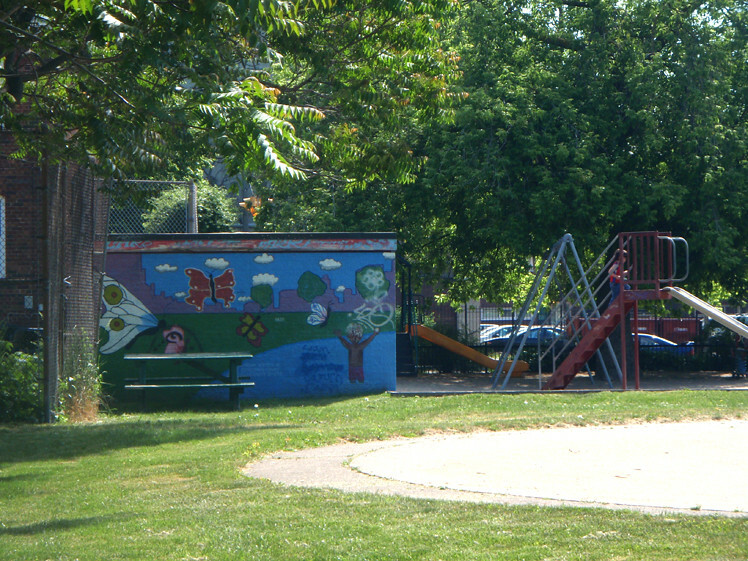 Alexandra Park is a neighborhood in a unique location in downtown Toronto. Its boundaries are defined by four large and well known roads: Dundas Street West, Queen Street West, Bathurst street, and Spadina Avenue. It’s amazing how a large portion of Alexandra Park goes unnoticed while the surrounding areas such as Kensington, Chinatown, and Queen Street West, are being occupied by so many people. Not many people seem to know about the area, especially the Atkinson Housing Co-op, due to the fact that it is a very enclosed community. However once exploring the area and reading articles and websites about the Atkinson Co-op there seems to be an interesting story that is reflected by the environment and space within Alexandra Park. It all started with Sir Casimir Gzowski, a Polish Engineer who purchased the area and built a large estate at Dundas and Bathurst in 1841. This is now the site of the public library and Scadding Court Community Centre. In its early stages the neighborhood developed as a primarily Polish and Ukrainian area. Many of the people living in Alexandra Park were new Canadians. In the 1960’s many of the houses in the area were demolished to make public housing which brought more new immigrants to the area. Around this time racial tensions began to rise, along with violence and drug use. Alexandra Park became synonymous with an African Canadian gang called the Project Originals, which also formed around this time.In the 1990’s residents of Alexandra Park wanted to turn the government housing complex into a self-managed co-op to take control over the struggles of the neighborhood. In 1998 Alexandra Park became the Atkinson Housing co-op, where residents contribute to the decision making process in the neighborhood. 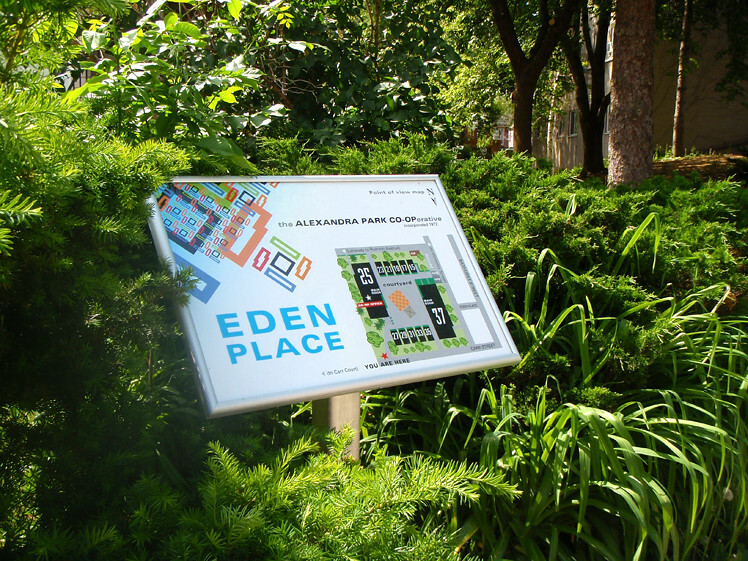 What is unique about this neighborhood today is its environment and the story of how Alexandra Park came to be. According to an article in the Globe and Mail, the intentions of the 1965 redevelopment plans were to develop the 60’s trend of housing, grouping people with low income together. Architect Jerome Markson, and the firms of Klein & Sears and Webb, Zerafa and Menkes, had a vision of enclosing the community from traffic to accommodate an environment that focuses on residents and children of the community. This can be seen by the pedestrian walkways in the neighborhood. The parking lots are on the outskirts, and connected pods of green spaces can be found throughout the Co-op housings. 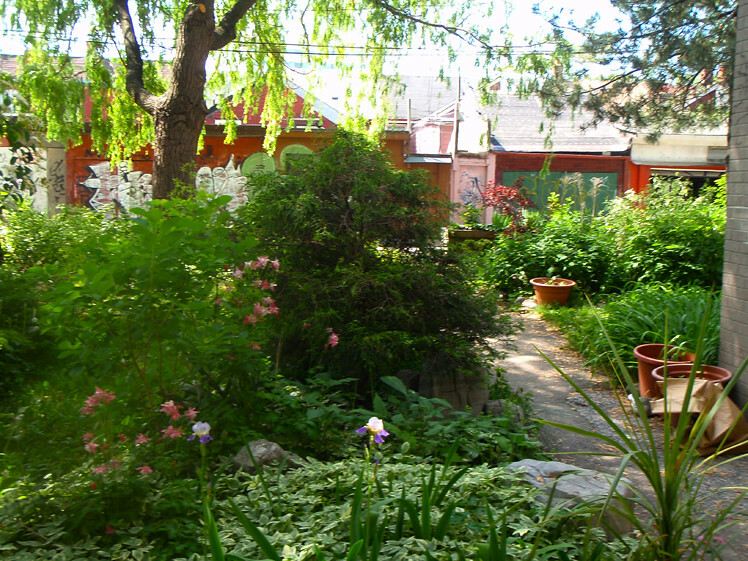 On the south side of the Sanderson Branch of the Toronto Public Library, a small community garden can be found. We found it interesting to see the 60s aesthetics of the geometric shapes and cement structures on other buildings such as the Alexandra Park Community Centre. However, throughout the past 40 years of Alexandra Park, the structure of the 60s-era buildings were found to be dysfunctional. The maze-like layout of the housing allowed crimes to go unnoticed. The reaction taken by the Co-op was to place surveillance cameras around the neighborhood. Indeed, our first walk was greeted with signs of surveillance and safety warnings, which gave an intimidating aura to the area. Along with the notice signs, there were narrow pathways, boarded fences, and very private and rectangular buildings that felt like a very long brick wall rather than rows of houses. With the minimal use of windows, the amount of bricks exposed felt harsh and disconnected from the walkway. 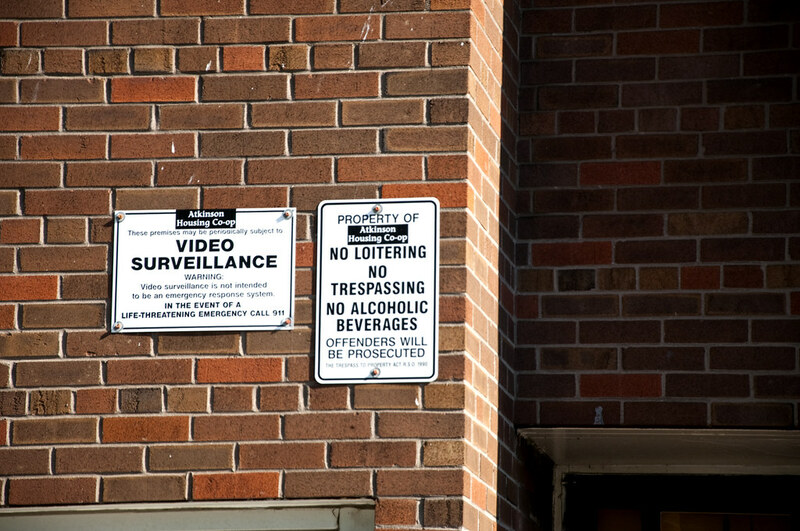 A video surveillance notice can be found on the way into the Atkinson Co-op neighborhood from Dundas Street West. 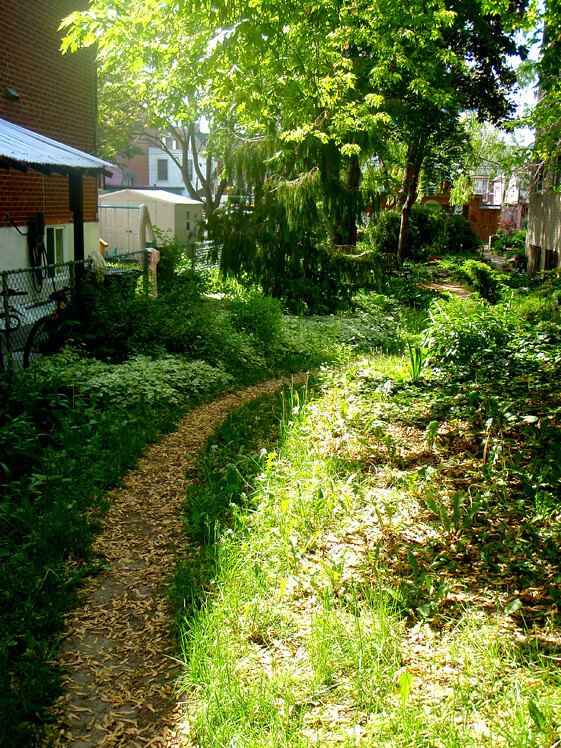 On Vanauley Walk where rows of Atkinson Co-op houses snake their way through the neighborhood, creating a maze-like alleyway. 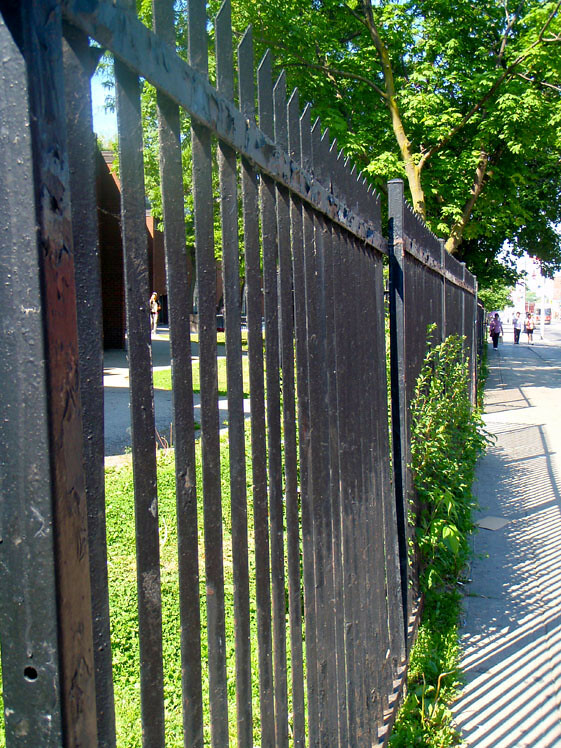 Wooden fences around the housing, and metal fencing along Dundas Street, Cameron Street, and Augusta Street, encloses Alexandra park, separating pedestrians and vehicular traffic. Although at first it seemed like an unpleasant environment, Alexandra Park is actually a place with a true sense of what a community is like. And this is where the story of this neighborhood becomes interesting. Even though Alexandra Park has had struggles in the past due to the developments of the site, local residents and community members who are engaged in the community use the resources that they have to efficiently provide services and programs to enhance the life of the community. 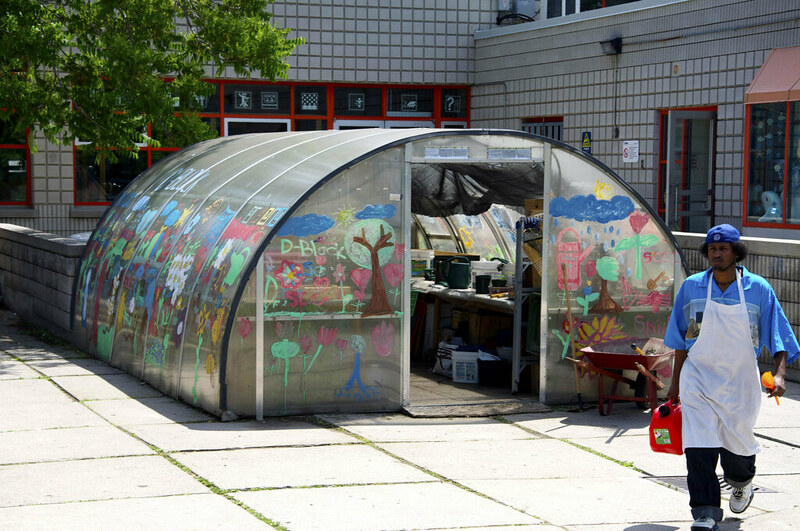 What seems to be a segregated and run-down neighborhood, is actually a community that has a lot of social engagement and activities that goes unnoticed by the greater Toronto. 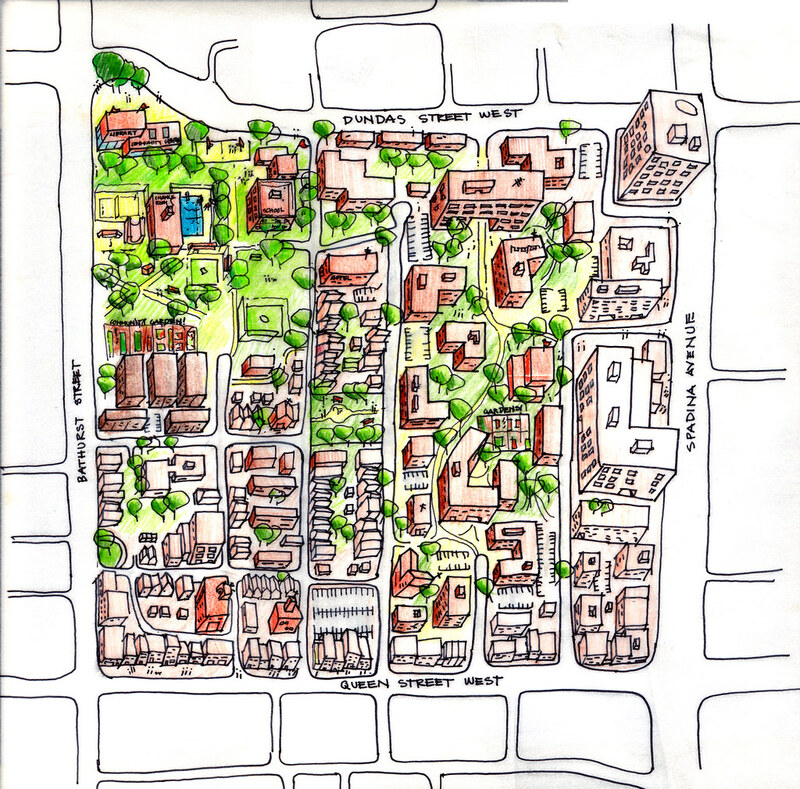 The importance of community places and spaces in the neighborhood. The community relies on centers and public spaces for interaction, support, and is united by these spaces. Change and preservation in the neighborhood. Residents are proactive and the community has driven revitalization plans. However equally important to this is the strong connection to history and the preservation of the community’s past. 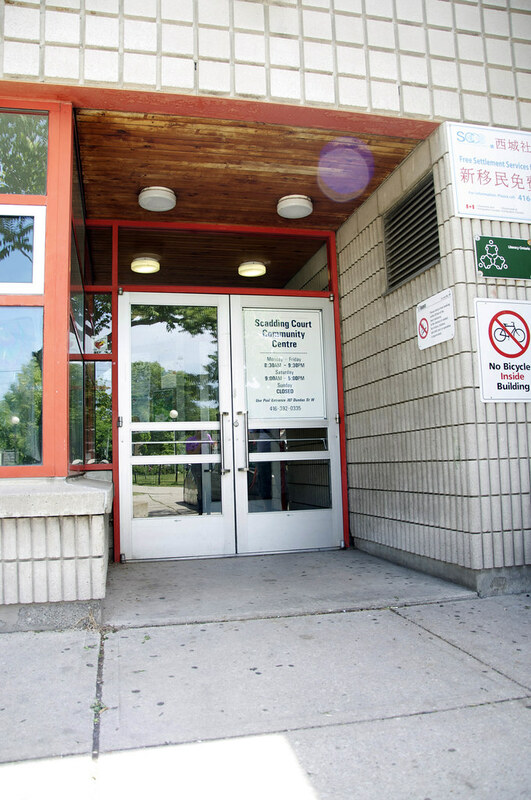 There are three fairly large and extremely well utilized community centers in the area: St. Felix Centre, Alexandra Park Community Centre and Scadding Court Community Centre/Alexandra Park Neighborhood Learning Centre. The local public library at Bathurst and Dundas also serve the community with programming and space that acts much like a community centre. These sites will be briefly discussed in the following section. Atkinson co-op housing collaborative garden. 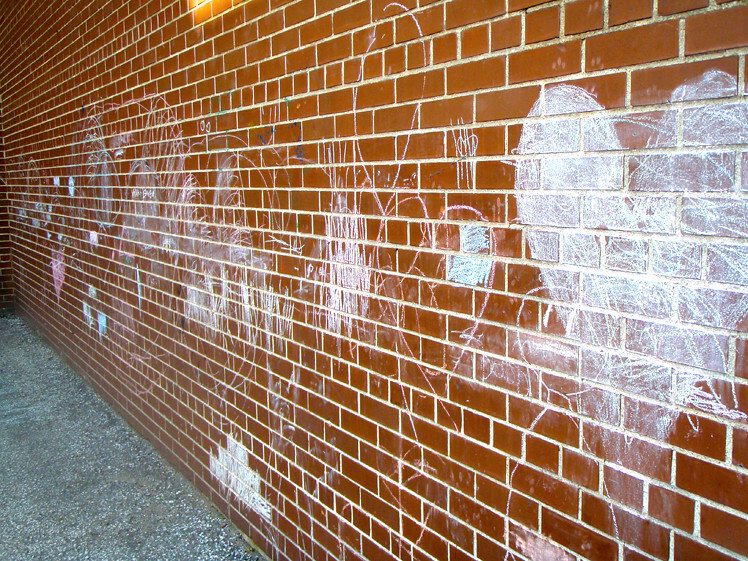 Murals can be found around the neighborhood, some coordinated by the community centre and some by children along the walls of the houses via chalk. They have a sense of a playful, family-oriented, and sesame street-like neighborhood. 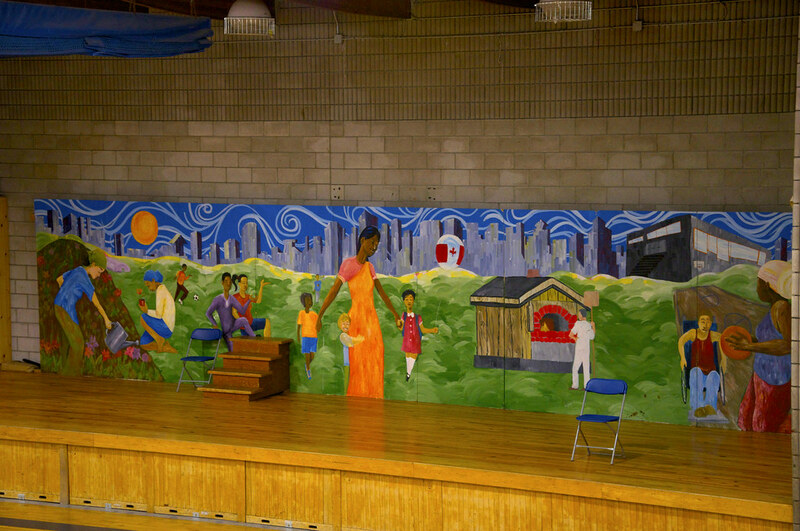 Murals can be seen in community centers as well. 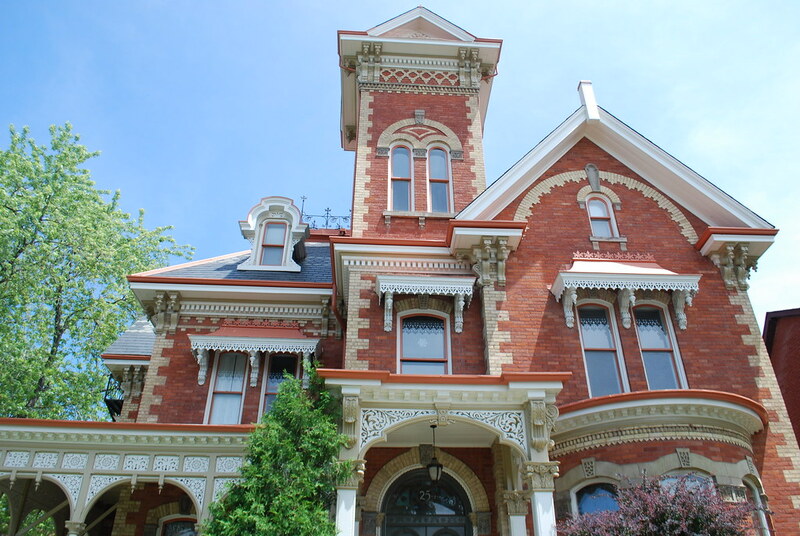 Edwin Leadlay, a local textile merchant, built the Leadlay home, at 25 Augusta Avenue, as a private estate in 1876. 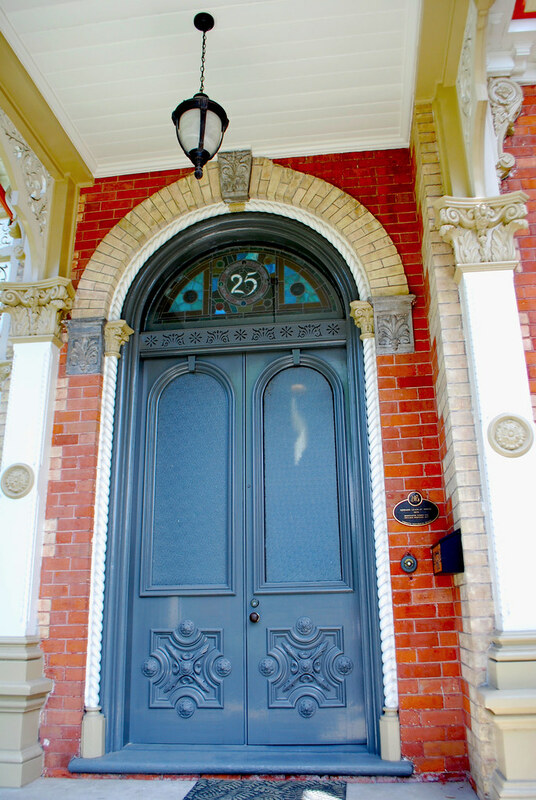 It was sold to the Felician Sisters in 1937, and still remains a residence for the Sisters. The home, community centre and the grounds they occupy, are still owned by the sisters and not the City of Toronto. Because of this they have a unique situation, they are completely independent and thus face less pressures in terms of future development. 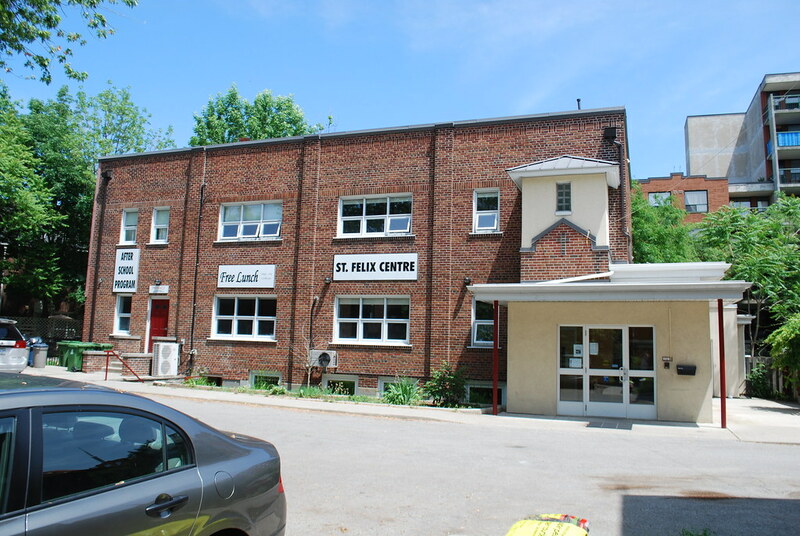 Paddy Bowen, the executive director of St. Felix, sees the community centre as an ‘island oasis’ in amidst Alexandra Park. The centre is still run by the Sisters too. It employs only four staff but operates by utilizing the help of over seventy-five volunteers. It provides meals to the homeless and to families and children in the area free of cost. One hundred percent of the food at the centre is donated and the centre also collects new clothing by donation to provide to the community. Much of the programming is geared to children and youth in the area, and there are after school care programs, mentoring, tutoring as well as lunch programs. The centre is in a somewhat odd location, situated behind the Leadlay House, and there is a fence creating a barrier between it and the Atkinson co-op community. 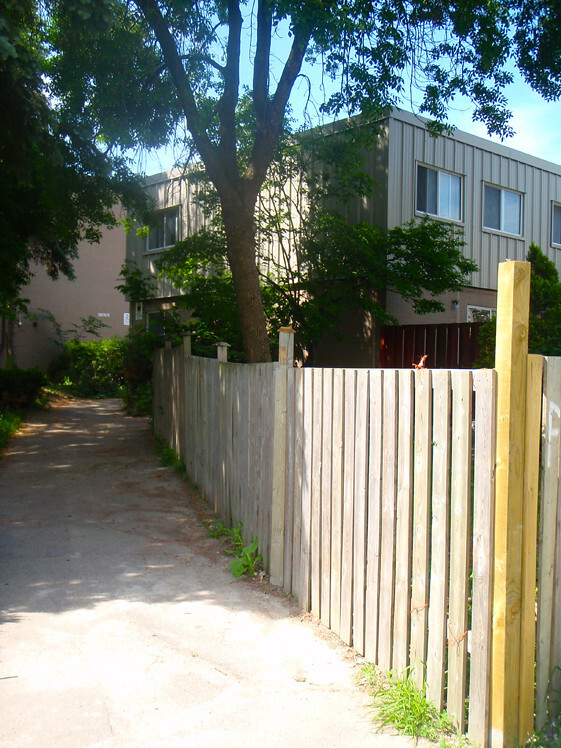 Because it is tucked in behind, its entrance is accessible only by alleyway, and primarily by foot. Because of this location and the services it provides the centre is perceived as a safe haven for community members and people across the city. Paddy Sees this as a positive feature, the ‘island’ like location creates a very different feeling she says, it is a distinctly different place in the neighborhood that is safe, personal and accepting, and she wouldn’t want this feeling to be lost because of any future changes. The center began in 1964, as a site office that dealt with queries from residents and employed a social worker who assisted with social problems. Today the centre has a wide variety of programs. Most prominent are there children’s programs and daycare. Some of the other programs offered include; parenting groups, “After Four” homework club, a boys & girls club, young women’s club, Tai Chi, a clothing bank, food share, a computer lab and the building hosts events for the community such as job fairs. 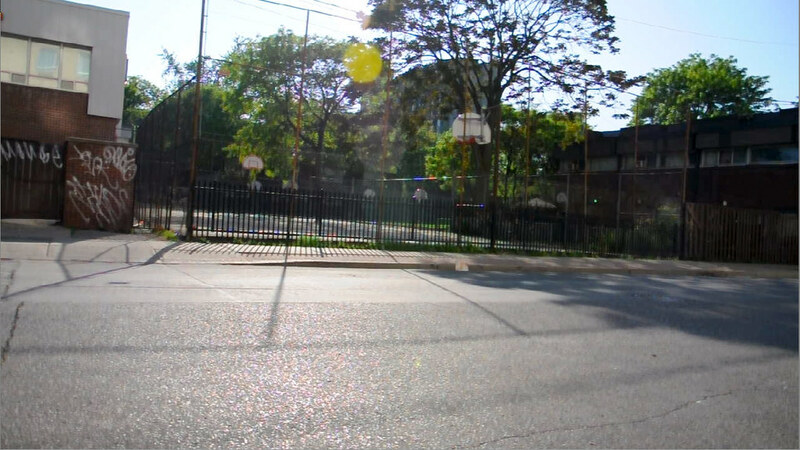 The centre also has two Basketball Courts and two playgrounds. Located in the centre of the community, Alexandra Park Community Centre keeps the people in the community intact and engaged. The facility provides youths and young adults different opportunities to participate in safe social activities and education. It’s a place to break barriers and to communicate with neighbors. A featured story from this community centre was in the recipe book called A Pinch of This: Recipes from Alexandra Park. The cookbook was put together by residents of Alexandra Park which combines food, convening, youth engagement, and neighborhood beautification. Scadding Court Community Centre is located at the corner of Bathurst and Dundas, and is an integral part of community life within the Alexandra Park neighborhood. The Centre’s focus is on youth-oriented programs and ‘breaking down barriers to access’ for people of any age group. 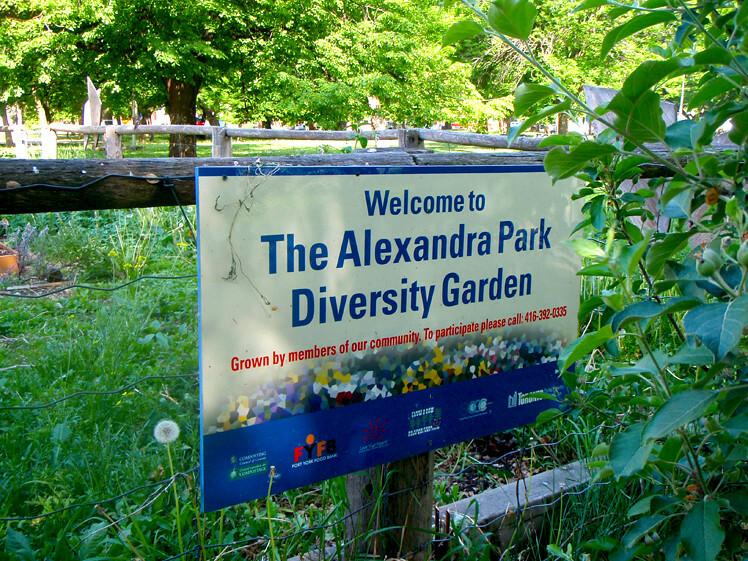 Although Scadding Court works with a significant number of people in Alexandra Park (80-90% of participants in any program), the organizers provide citywide services including: settlement services; community gardens; social recreation; youth leadership and ESL programs. 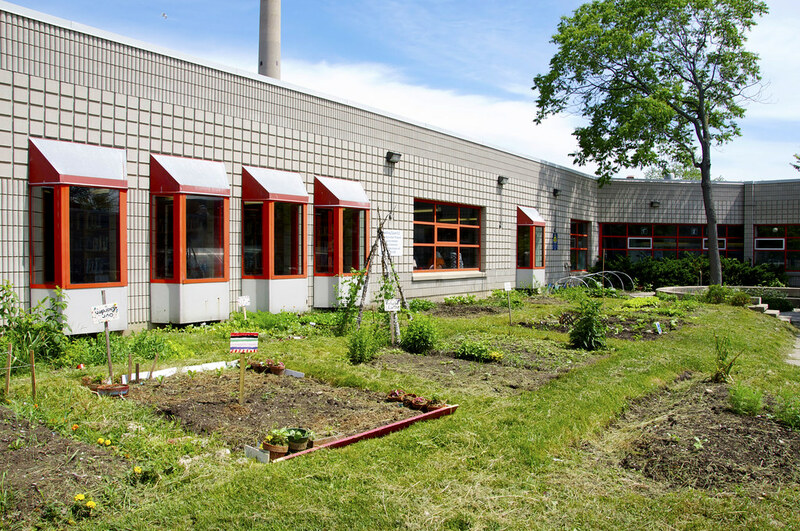 A major component of Scadding Court’s mandate is urban agriculture, and is something that they feel touches the community in a very practical way. There is a café in the building run by young people who do all the cooking and menu development themselves. They work with a professional gourmet chef, who encourages the employees to pursue training in the culinary arts. The Centre has also planted 75 community garden plots on the site which local community residents rent for personal use. Some of the food grown on these plots is used for menu items in the café, the community kitchen program (where local residents learn to cook and then take home the finished product), as well as food bank donations. In addition to the 75 plots on site, they have planted 10 more community gardens at different sites across Toronto. Click here to see a video of Alina Chatterjee from Scadding Court Community Centre talk about the types of services and programs they have. First impressions of Alexandra Park may be deceiving. The physical environment and state of the housing in the area is a reflection of poor maintenance, lack of funding, and ultimately the dysfunctional aspects of the community. However, with further investigation, one begins to realize what is hidden behind the heavy brick facades. In contrast to the obvious negative features of the neighborhood, we began to see interesting and unique characteristics. Evidence of the community driven changes can be seen though the murals. For example one mosaic was done after fundraising by a youth driven community group, as were new park benches, community gardens, and St. Felix’s new signage to promote their programs. The uniqueness of this neighborhood is in its history and motivation of continuing development. It is important that residence are integrated into the design and consultation process for any revitalization. The motivation of people and their strong initiative can be seen though the work of the community centers in the area, and it holds potential for it to grow with proper funding and access to different resources. Great piece – thanks for giving us a window into this neighbourhood – I’d like to encourage more quotes and video clips of local residents – would love to hear from the youth who run the cafe in the community centre! Another great piece on a typically ignored piece of Modern city-building. With the small windows, the residential buildings have a regrettably austere look to them, which was probably the product of a low budget. But the system of internal walkways was important in terms of urban design for Toronto because it was quite original, moving away from the Georgian grid. 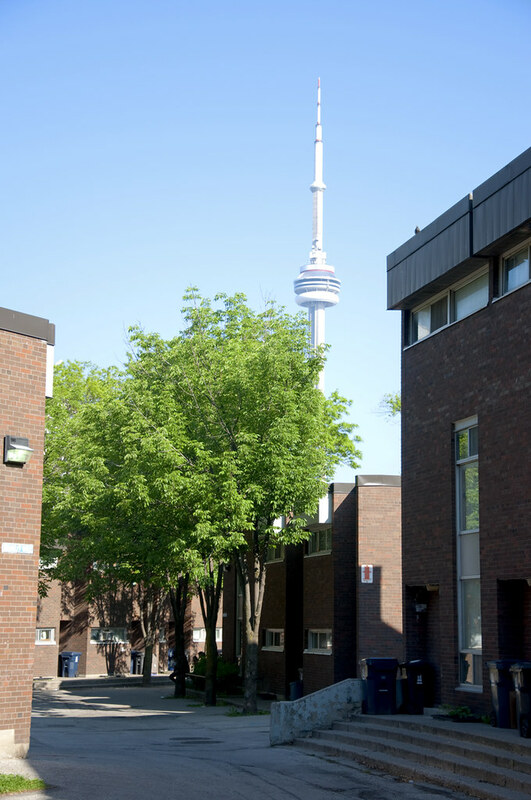 Communities like Alexandra Park are important to our heritage, though the architects’ visions for the enclosed community weren’t always practical when it comes to issues like crime. It seems that there are many people in the community who work to make it livable, which is inspiring. I hope most of our housing projects from the 1950s through 1970s can evolve rather than require reconstruction after half a century. Good stuff. I always viewed Alexandria Park as the western cousin of Regent Park, as well as the proposed (and thankfully aborted) development in Trefann Court-Corktown. a really well researched and thought provoking piece. I hope that the planned Alexandra Park revitalization plans take into full account the heritage of this community and the strong sense of place and attachment residents have there.